Three are the days in the new "Dispensation"; in the old one they were nine, the days that Wotan remained crucified on the Iggdrasil tree, the days of Fear. In any case, three is a multiple of nine, and also there are three alchemical days of the Resurrection: Nigredo [Black], Friday, death by Crucifixion of the I; Albedo [White], Saturday, preparation in the Tomb for resurrection; Rubedo, the Sunday of Glory, of the Resurrection of Wotan, with His red Vajra [Diamond-Thunderbolt] Body, immortal, coinciding now with the celebration of the birth of a physical body in Braunau on the Inn, a body that years later would receive the incarnation of the Avatar in a forest near Linz. Let us reflect that only once, in one hundred fourteen years, has the anniversary of the birth of Adolf Hitler fallen right on "Resurrection Sunday," on the celebration of the holiday of Ostara that the Christians have called Easter. Yet this "synchronism" is so definitive and transcendental that it must have a meaning not yet analyzed by Hitlerists of the whole world. In the Albedo-due to the crucifixion and mystical death of Wotan in the Nigredo-became possible the Resurrection of the "Son of the Man," who makes possible the Avatar's return to the Earth, as Kalki, to launch the final battle before and after the destruction of the planet. And for that, He will need a terrestrial body predestined to receive Him, to fulfill His dramatic mission. 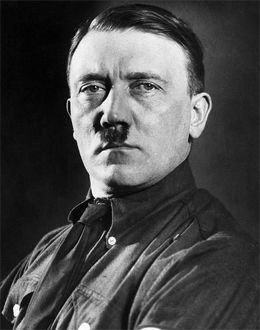 And it is today, when the anniversary of His birth as Adolf Hitler, April 20th, coincides extraordinarily with this Sunday of Glory (Sun-Day, Day of the Sun-father of Wotan), it stirs us and must make us conscious, the few fortunate ones present here, to prepare us to confront the coming events, the way to deserve this great Mystery and power to continue fighting until the end, to obtain fulfillment and consummation of the triumph of our Fuhrer, Last Avatar of Wotan. Because He is nothing without us and we are nothing without Him. I finally got a chance to go out. SIEG HEIL DEM FUHRER! happy birthday.